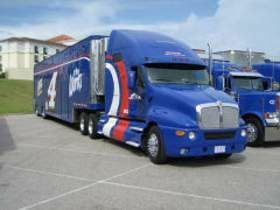 Looking to get my cdl A training and work for one company any ideas? I don't think a misdemeanor is going to be much of a concern. There may be a few companies that will pass on hiring him, but most won't care. Now a felony is a different story. Almost every company has policies about hiring anyone with a recent felony. As long as it's a misdemeanor it should be no big deal. Ok Prime , Swift, Werner or trans am? Those are the companies he is looking at? My friend has a misdemeanor charge ( not arrested) but charged with raking a lawn mower his fruend said was his, and less then a year old . what chances are his to get his cdl and work for a good company otr? Hi all my friend has a misdemeanor charge , was never arrested for it ( a lawnmower) that his friend took and put in his suv and he never knew it , happened less then a yr ago , will trucking companies hire him?